With digital photography people are printing fewer and few images and the photos they print are the best representative of their memories. It would make sense to print these photos at the highest quality to last for generations. Professional photographers know the benefit of using a professional color lab to print wedding, infant and senior photos, but professional photo printing is not just available to professional photographers. 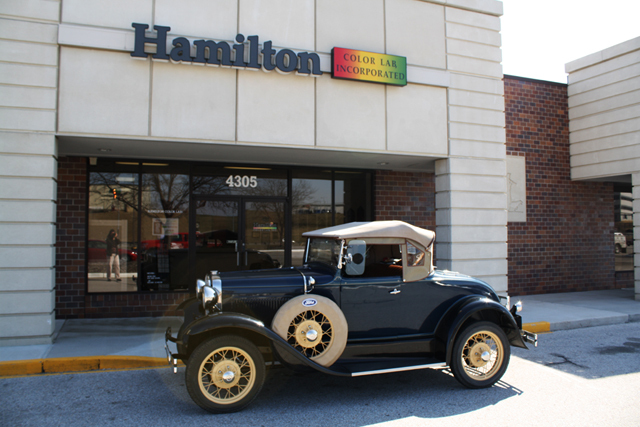 Hamilton Color Lab in Omaha Nebraska welcomes not only professional photographers but serious amateurs, camera hobbyist, and people who just want great photo prints. The difference in a professional print vs. a 1-hour photo is clear: heavier paper, true silver halide paper (not dry ink), increased clarity, sharper details, improved color and a professional Lustre photo paper, not the obnoxious glossy finish. The concept of a photo lab may seem archaic, even vintage like the car below in this day of one hour printing and instant gratification, but it’s worth your time to search out such a business. In Omaha we are located at 120th & I St in Sports Plaza and we believe in personal service. We help you through every step and will load your photos and inspect the files for any potential errors before you leave. Many people think it will cost and arm and a leg to print your photographs at a professional color lab. But it doesn’t. You can get the same quality paper, the same resolution and color management professional photographers receive for just a little more than your discount “one hour” printer at the corner store. 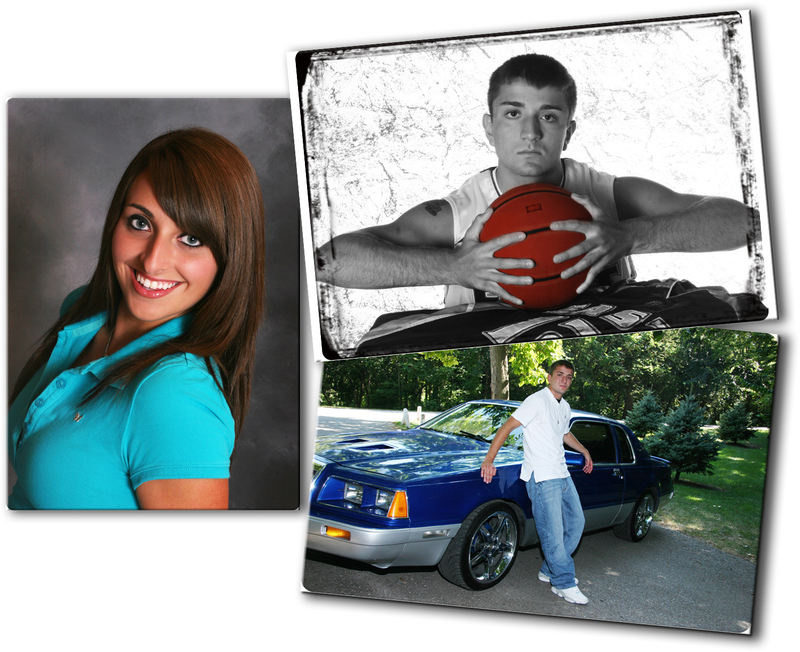 Maybe you purchased a professional digital package for your wedding or senior pictures. Your photographer put a lot of time, expertise, and spent a lot of money on her camera and lenses to capture you and your day in the best light possible. Now do you really want to take these to Walmart or Walgreens to get printed? Discount stores use discount paper, discount inks, and the cheapest methods possible to print photographs. Although some of the technicians may be trained in photo editing, most are not and cannot help you with even the basic questions. Most of the time you are placed at a photo kiosk and left on your own to figure out why the 8×10 version of your photo crops off your child’s head. At Hamilton Color Lab you get personalized service, it’s painless and easy. Senior Mom’s walk out with a sigh of relief and in a fraction of the time that the previous trip to Walgreens. Our prices are reasonable and we are the only location in Omaha (could be in all of Nebraska) that prints professional wallets with the rounded corners. 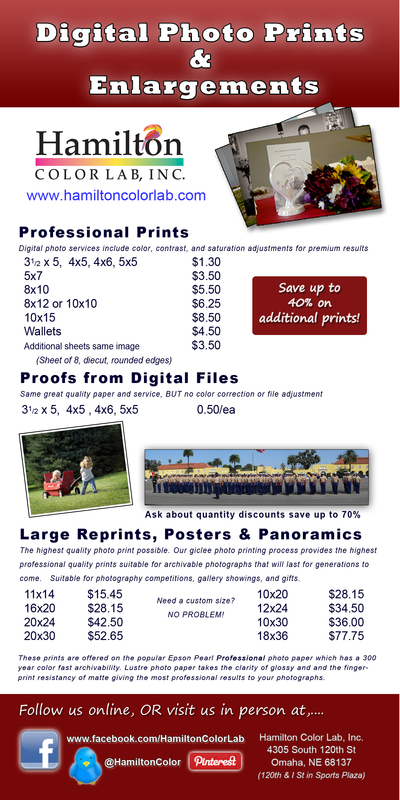 Below is just a short flyer on our retail prices and when you want your photos and memories to last a life-time print them at a professional lab. We have the best prices in Omaha for true senior wallets. For a more complete retail price list including quantity discounts, mounting, and canvas pricing download our customer retail price sheet. If live outside of Omaha we can mail your order directly to your home anywhere in the country. If you are a professional photographer either in the Greater Omaha area we welcome you to stop by and take a look at our samples and services. Professional portrait photographers do receive additional discounts and all we require is a State sales tax ID form to set up your account. Categories: Digital Prints | Tags: bargins, business, Digital photography, Digital printing, nebraska, omaha, photo printing, Photograph, Photographer, Photography, Professional, professional photographers, senior pictures, Services, wedding pictures | Permalink.